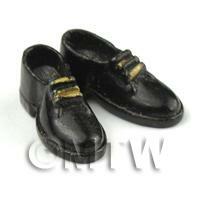 Your Search Results for "Resin"
We found 454 items that matched your search. 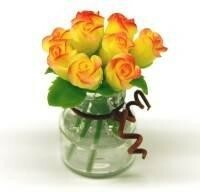 Product ID: 2580 9 Hand made flexible Yellow & Red Roses In A Glass Vase.This is part of our new premium flowers in real glass vases. Each vase has at least 9 handmade roses and is finished off with resin to simulate water.The flowers in this range are the most beautiful and elegant flowers we produce and sell. 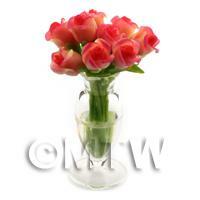 Product ID: 2581 9 Hand made flexible Pink & Red Roses in a Glass Vase.This is part of our new premium flowers in real glass vases. Each vase has at least 9 handmade roses and is finished off with resin to simulate water.The flowers in this range are the most beautiful and elegant flowers we produce and sell. 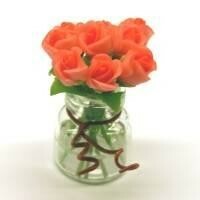 Product ID: 2582 9 Hand made flexible Orange & Red Roses in a Glass Vase.This is part of our new premium flowers in real glass vases. Each vase has at least 9 handmade roses and is finished off with resin to simulate water.The flowers in this range are the most beautiful and elegant flowers we produce and sell. Product ID: 2583 9 Hand made flexible Violet & Purple Roses in a Glass Vase.This is part of our new premium flowers in real glass vases. Each vase has at least 9 handmade roses and is finished off with resin to simulate water.The flowers in this range are the most beautiful and elegant flowers we produce and sell. 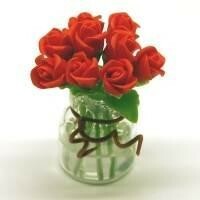 Product ID: 2584 9 Hand made flexible Red Roses in a Glass Vase.This is part of our new premium flowers in real glass vases. Each vase has at least 9 handmade roses and is finished off with resin to simulate water.The flowers in this range are the most beautiful and elegant flowers we produce and sell. 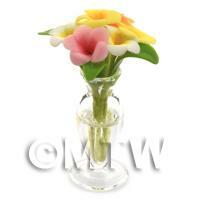 Product ID: 2585 9 Hand made flexible Cut Cala Lillies in a Glass Vase.This is part of our new premium flowers in real glass vases. 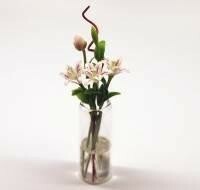 Each vase has at least 9 handmade long stemmed flowers. The Vase is finished off with resin to simulate water.The flowers in this range are the most beautiful and elegant flowers we produce and sell. 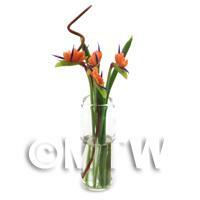 Product ID: 2586 8 Hand made flexible Long Tropical Plumerias in a Glass Vase. 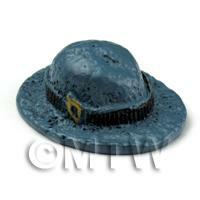 This is part of our new premium flowers in real glass vases. 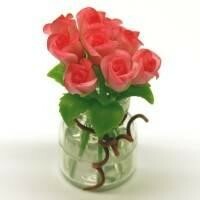 Each vase has at least 8 handmade long stemmed flowers. The Vase is finished off with resin to simulate water.The flowers in this range are the most beautiful and elegant flowers we produce and sell. 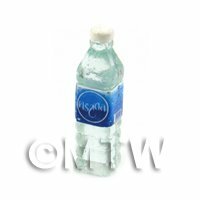 Product ID: 2587 4 Hand made flexible Long Stemmed Light Purple Carnations in a Glass VaseThis is part of our new premium flowers in real glass vases. 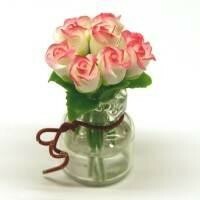 Each vase has at least 4 handmade long stemmed flowers and 1 unopened bud. The Vase is finished off with resin to simulate water.The flowers in this range are the most beautiful and elegant flowers we produce and sell. 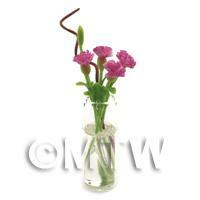 Product ID: 2588 4 Hand made flexible Pink Multi-Petal Long Stemmed Flowers in a Glass Vase.This is part of our new premium flowers in real glass vases. Each vase has at least 2 handmade long stemmed flowers and 2 unopened buds. The Vase is finished off with resin to simulate water.The flowers in this range are the most beautiful and elegant flowers we produce and sell. 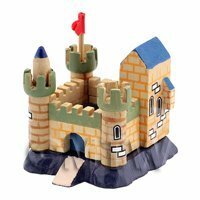 Product ID: 2589 4 Hand made Birds of Paradise in a Glass Vase This is part of our new premium flowers in real glass vases. 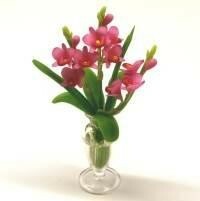 Each vase has at least 4 handmade long stemmed flowers. The Vase is finished off with resin to simulate water.The flowers in this range are the most beautiful and elegant flowers we produce and sell. 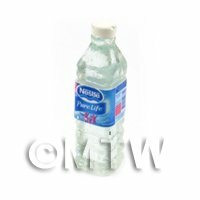 Product ID: 2591 5 Hand made flexible Mixed Cut Flowers in a Glass Vase This is part of our new premium flowers in real glass vases. 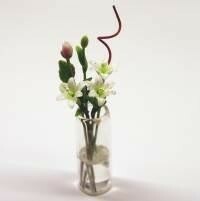 Each vase has at least 4 handmade long stemmed flowers and 1 unopened bud. 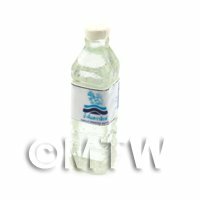 The Vase is finished off with resin to simulate water.The flowers in this range are the most beautiful and elegant flowers we produce and sell. 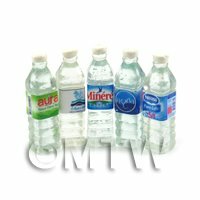 Product ID: 2592 5 Hand made flexible Mixed Cut Flowers in a Glass Vase This is part of our new premium flowers in real glass vases. Each vase has at least 4 handmade long stemmed flowers and 1 unopened bud. The Vase is finished off with resin to simulate water.The flowers in this range are the most beautiful and elegant flowers we produce and sell. Product ID: 2593 9 Hand made flexible Yellow & Red Roses in a Short Glass Vase.This is part of our new premium flowers in real glass vases. Each vase has at least 9 handmade roses and is finished off with resin to simulate water.The flowers in this range are the most beautiful and elegant flowers we produce and sell. 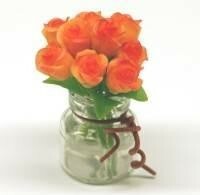 Product ID: 2594 9 Hand made flexible Orange Roses in a Short Glass Vase.This is part of our new premium flowers in real glass vases. 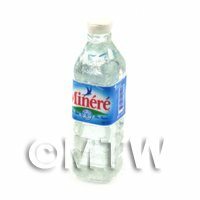 Each vase has at least 9 handmade roses and is finished off with resin to simulate water.The flowers in this range are the most beautiful and elegant flowers we produce and sell. 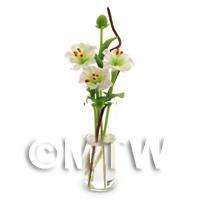 Product ID: 2597 5 Hand made flexible Long Stemmed White Lillies in a Glass Vase This is part of our new premium flowers in real glass vases. 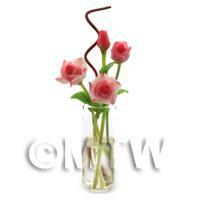 Each vase has at least 3 handmade long stemmed flowers, 1 flowering bud and 1 unopened bud. The Vase is finished off with resin to simulate water.The flowers in this range are the most beautiful and elegant flowers we produce and sell. 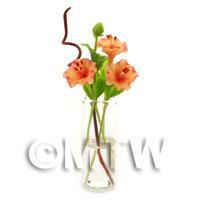 Product ID: 2598 5 Hand made flexible Long Stemmed Orange Lillies in a Glass Vase This is part of our new premium flowers in real glass vases. 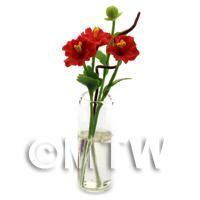 Each vase has at least 3 handmade long stemmed flowers, 1 flowering bud and 1 unopened bud. The Vase is finished off with resin to simulate water.The flowers in this range are the most beautiful and elegant flowers we produce and sell. 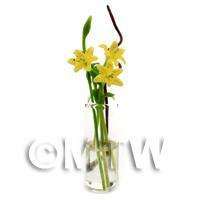 Product ID: 2599 5 Hand made flexible Long Stemmed Yellow Lillies in a Glass Vase This is part of our new premium flowers in real glass vases. 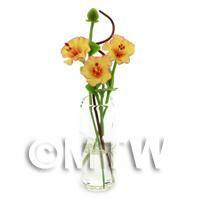 Each vase has at least 3 handmade long stemmed flowers, 1 flowering bud and 1 unopened bud. The Vase is finished off with resin to simulate water.The flowers in this range are the most beautiful and elegant flowers we produce and sell. 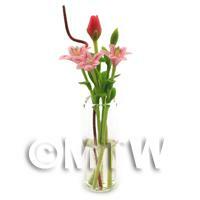 Product ID: 2600 5 Hand made flexible Long Stemmed White & Pink Lillies in a Glass VaseThis is part of our new premium flowers in real glass vases. 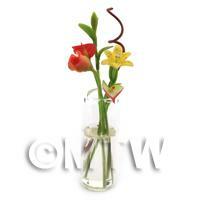 Each vase has at least 3 handmade long stemmed flowers, 1 flowering bud and 1 unopened bud. The Vase is finished off with resin to simulate water.The flowers in this range are the most beautiful and elegant flowers we produce and sell. 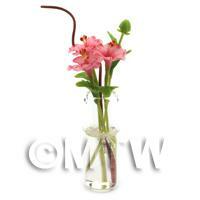 Product ID: 2601 5 Hand made flexible Long Stemmed Pink Lillies in a Glass Vase This is part of our new premium flowers in real glass vases. 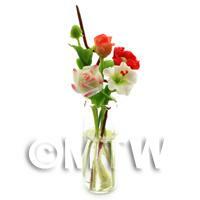 Each vase has at least 3 handmade long stemmed flowers, 1 flowering bud and 1 unopened bud. The Vase is finished off with resin to simulate water.The flowers in this range are the most beautiful and elegant flowers we produce and sell. 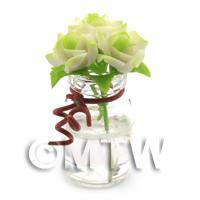 Product ID: 2602 4 Hand made flexible White Cut Flowers in a Glass Vase This is part of our new premium flowers in real glass vases. 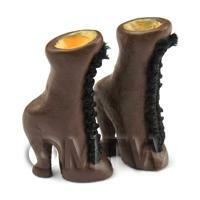 Each vase has at least 3 handmade long stemmed flowers and 1 unopened bud. The Vase is finished off with resin to simulate water.The flowers in this range are the most beautiful and elegant flowers we produce and sell. 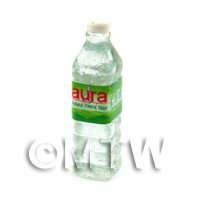 Product ID: 2603 4 Hand made flexible Yellow Cut Flowers in a Glass Vase This is part of our new premium flowers in real glass vases. Each vase has at least 3 handmade long stemmed flowers and 1 unopened bud. The Vase is finished off with resin to simulate water.The flowers in this range are the most beautiful and elegant flowers we produce and sell. 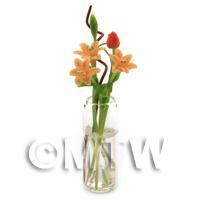 Product ID: 2604 4 Hand made flexible Orange Cut Flowers in a Glass Vase This is part of our new premium flowers in real glass vases. Each vase has at least 3 handmade long stemmed flowers and 1 unopened bud. The Vase is finished off with resin to simulate water.The flowers in this range are the most beautiful and elegant flowers we produce and sell. 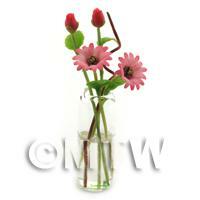 Product ID: 2605 4 Hand made flexible Pink Cut Flowers in a Glass Vase This is part of our new premium flowers in real glass vases. Each vase has at least 3 handmade long stemmed flowers and 1 unopened bud. The Vase is finished off with resin to simulate water.The flowers in this range are the most beautiful and elegant flowers we produce and sell. 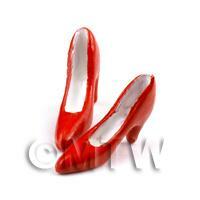 Product ID: 2606 4 Hand made flexible 4 Red Cut Flowers in a Glass VaseThis is part of our new premium flowers in real glass vases. Each vase has at least 3 handmade long stemmed flowers and 1 unopened bud. The Vase is finished off with resin to simulate water.The flowers in this range are the most beautiful and elegant flowers we produce and sell. Product ID: 2607 4 Hand made Long Stemmed Yellow Roses in a Glass Vase This is part of our new premium flowers in real glass vases. Each vase has at least 3 handmade long stemmed flowers and 1 unopened bud. The Vase is finished off with resin to simulate water.The flowers in this range are the most beautiful and elegant flowers we produce and sell. 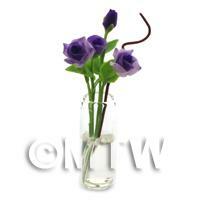 Product ID: 2608 4 Hand made flexible Long Stemmed Purple Roses in a Glass Vase This is part of our new premium flowers in real glass vases. Each vase has at least 3 handmade long stemmed flowers and 1 unopened bud. The Vase is finished off with resin to simulate water.The flowers in this range are the most beautiful and elegant flowers we produce and sell. Product ID: 2609 4 Hand made flexible Long Stemmed Orange Roses in a Glass VaseThis is part of our new premium flowers in real glass vases. Each vase has at least 3 handmade long stemmed flowers and 1 unopened bud. The Vase is finished off with resin to simulate water.The flowers in this range are the most beautiful and elegant flowers we produce and sell. 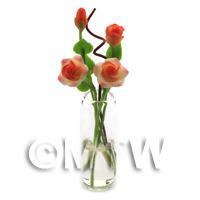 Product ID: 2610 4 Hand made flexible Long Stemmed Pink Roses in a Glass Vase This is part of our new premium flowers in real glass vases. Each vase has at least 3 handmade long stemmed flowers and 1 unopened bud. The Vase is finished off with resin to simulate water.The flowers in this range are the most beautiful and elegant flowers we produce and sell. 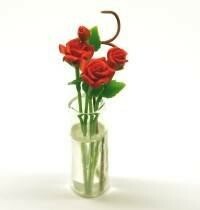 Product ID: 2611 4 Hand made flexible Long Stemmed Red Roses in a Glass Vase This is part of our new premium flowers in real glass vases. Each vase has at least 3 handmade long stemmed flowers and 1 unopened bud. The Vase is finished off with resin to simulate water.The flowers in this range are the most beautiful and elegant flowers we produce and sell. Product ID: 2628 Hand made flexible Long Stemmed Pink Dendrobium Orchids in a Glass Vase.This is part of our new premium flowers in real glass vases. Each vase has at least 12 handmade orchids, of which 9 are full flowering and is finished off with resin to simulate water.The flowers in this range are the most beautiful and elegant flowers we produce and sell. 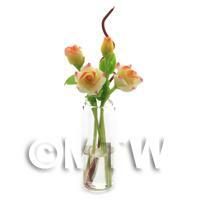 Product ID: 2636 9 Hand made flexible White Roses with a Pink edge in a Short Glass Vase.This is part of our new premium flowers in real glass vases. Each vase has at least 9 handmade roses and is finished off with resin to simulate water.The flowers in this range are the most beautiful and elegant flowers we produce and sell. 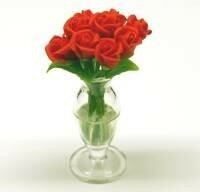 Product ID: 2637 9 Hand made flexible Red Roses in a Short Glass Vase.This is part of our new premium flowers in real glass vases. Each vase has at least 9 handmade roses and is finished off with resin to simulate water.The flowers in this range are the most beautiful and elegant flowers we produce and sell. 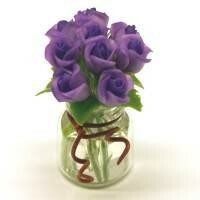 Product ID: 2638 9 Hand made flexible Purple Roses in a Short Glass Vase.This is part of our new premium flowers in real glass vases. Each vase has at least 9 handmade roses and is finished off with resin to simulate water.The flowers in this range are the most beautiful and elegant flowers we produce and sell. 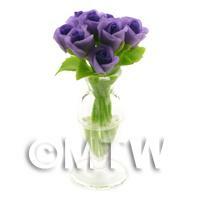 Product ID: 2639 9 Hand made flexible Violet Roses in a Short Glass Vase.This is part of our new premium flowers in real glass vases. Each vase has at least 9 handmade roses and is finished off with resin to simulate water.The flowers in this range are the most beautiful and elegant flowers we produce and sell. Product ID: 2640 9 Hand made flexible Orange & Red Roses in a Short Glass Vase.This is part of our new premium flowers in real glass vases. Each vase has at least 9 handmade roses and is finished off with resin to simulate water.The flowers in this range are the most beautiful and elegant flowers we produce and sell. 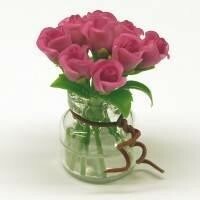 Product ID: 2641 9 Hand made flexible Pink Roses in a Short Glass Vase.This is part of our new premium flowers in real glass vases. Each vase has at least 9 handmade roses and is finished off with resin to simulate water.The flowers in this range are the most beautiful and elegant flowers we produce and sell. 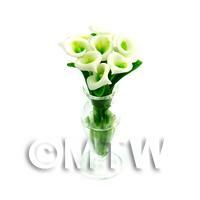 Product ID: 2642 3 Hand made flexible White Roses with a Green tint in the centre in a Short Glass Vase.This is part of our new premium flowers in real glass vases. Each vase has at least 3 handmade roses and is finished off with resin to simulate water.The flowers in this range are the most beautiful and elegant flowers we produce and sell. 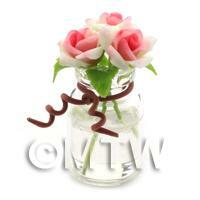 Product ID: 2643 3 Hand made flexible White & Pink Roses in a Short Glass Vase.This is part of our new premium flowers in real glass vases. Each vase has at least 3 handmade roses and is finished off with resin to simulate water.The flowers in this range are the most beautiful and elegant flowers we produce and sell. 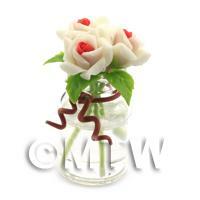 Product ID: 2644 3 Hand made flexible White Roses with Red Centres in a Short Glass Vase.This is part of our new premium flowers in real glass vases. Each vase has at least 3 handmade roses and is finished off with resin to simulate water.The flowers in this range are the most beautiful and elegant flowers we produce and sell.